I was born on June 11, 1937 in Three Bridges, Sussex, England to a British father and an American mother. I believe I inherited my good math genes from my Father's Mother, Edith Read, who was among the very first women ever to receive a "first" in maths from Cambridge University. Growing up in the US, I went to Phillips Exeter Academy, where I won a prize in the Westinghouse Science Talent Search with a primitive relay based computer that short circuited, burned its paper tape and never stirred again. So when I went to Harvard as a freshman in 1953, I found myself led to pure mathematics. There the lectures of George Mackey and Oscar Zariski were especially inspiring. I stayed at Harvard through 1995, eventually becoming Higgins Professor of Mathematics. Following Zariski's lead, I spent the first half of my career working in the field of algebraic geometry - a part of pure mathematics which studies the geometric objects defined as the loci of zeros of one or more polynomials (but with a twist: the zeroes can be in any field of numbers). Artin, Hironaka and I were all students when Grothendieck came to Harvard with his own extraordinary new insights. His synthesis of the older tools of the more intuitive geometric Italian school with the newer French ones of cohomology as well as their use of nilpotent functions to algebrize infinitesimal calculus were very exciting and led to rapid progress in the field. My specific contributions came from the application of the ideas of classical invariant theory (especially the ideas of Hilbert) and of theta functions to the problem of constructing the so-called moduli space for the set of algebraic curves of fixed genus. This moduli space is a kind of map, a way of packaging all possible algebraic curves into a single universal object. I received the Fields Medal for this work in 1974. A long term interest of mine was the global structure of this moduli space: one of the most exciting aspects of math is when such a universal object - one likes to call it a 'God-given' object - turns out not to be simple but to have its own inner nature. For example, I later proved with Joe Harris that these moduli spaces for large odd genus are 'of general type' (extended to large even genus by Eisenbud and Harris). This is a weak way of saying they mirror the curves they classify, that the nature of the atlas mimics the land it represents. In the early 80's, influenced by the work of Benoit Mandelbrot and David Marr, I returned to my early interests in computation and the brain, the central issue for me being what is the right mathematical model for understanding the processes of thought. An early digression was to put the now more reliable computers to the test of drawing a kind of fractal spin-off of the moduli spaces, called Kleinian limit point sets, a project which led to the recently published semi-popular book "Indra's Pearls", with Caroline Series and Dave Wright. But my primary interest since then has been the study of vision, both the process of vision in natural intelligences and the algorithms for reducing these abilities to code. Marr's book "Vision" put forward the idea that on a certain theoretical level, understanding vision for an engineering application and vision in a biological system really ought to be identical problems. With Jayant Shah, we introduced the mathematical tool of variational calculus and free-boundary value problems to the theory of vision. A second revelation was discovering the power and ubiquity of statistical reasoning in perception and, more generally, all thought. This was an idea pioneered by Ulf Grenander and his collaborators at Brown, where I moved in 1995 because of its flourishing inter-disciplinary culture. In the last 10 years, I have been pursuing statistical models and analyses of many aspects of natural images and algorithms for inferring from them the structure of the world. For example, the intuitive idea that the world is cluttered, that every scene has objects of all sizes, objects which break up into parts and subparts, has a precise mathematical translation in terms of the probability distribution for natural images: that it should be self-similar and of high kurtosis. Most recently I have been studying object recognition in images through the analysis of the object's shape. One can apply the same mathematical approach which led to moduli spaces for algebraic curves: form an abstract 'map' of all possible shapes. This map is now an infinite-dimensional space with local coordinate charts (the pages of the atlas): this is called a manifold by mathematicians. With Peter Michor and many others, we are exploring the geometry of this fascinating object. I have been blessed with 16 PhD students in vision and 29 in algebraic geometry. Above all, I have been strongly supported throughout my career by the tireless love and understanding of two wonderful women: my first wife, the poet Erika Jentsch Mumford (deceased 1988), with whom I have had 4 children, and of my present wife, the artist Jenifer Gordon Mumford. Having brought two families together, we now enjoy yet another blessing: 7 children and 12 grandchildren. Research, to me, is teamwork: work with students and colleagues and the encouragement that only a family can give you. Thanks to all my students who treated me to a sail on an America's Cup boat on my retirement. 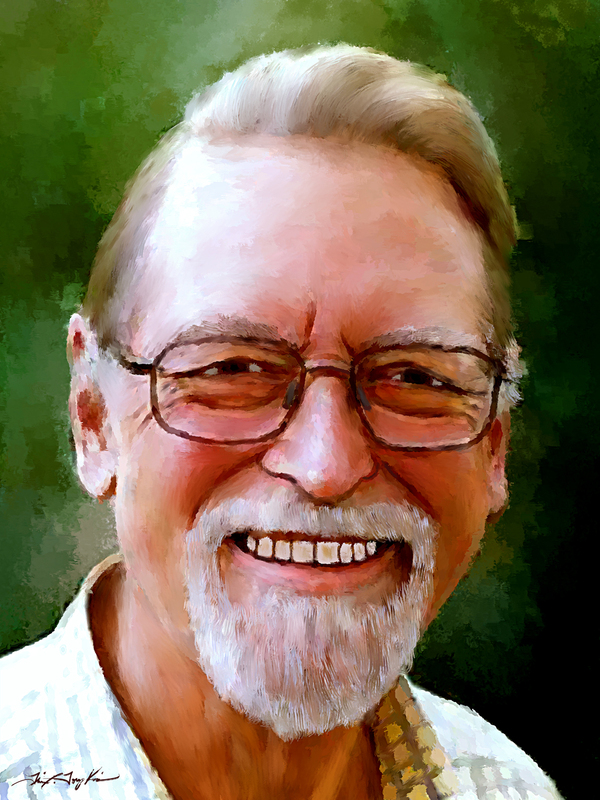 Citation: "For his contributions to the field of mathematics, which fundamentally changed algebraic geometry, and for connecting mathematics to other disciplines such as computer vision and neurobiology." Presented by President Barack H. Obama in the East Room of the White House on 17 November 2010."